Argan oil – for what hair type? How to nourish hair with Peruvian oil? Peruvian oil for hair, Argan oil, is a product worth paying attention to. It has affordable price, beautiful scent and content of 3 natural oils and keratin. This product makes us trust it due to fact that it comes from tropical region of the World, where – with so high temperatures and burning Sun – taking care of hair is crucial. Argan oil, 4 Oils, Intensive Hair Oil is a hair conditioner with 4 conditioning substances: 3 natural oils and liquid keratin. Argan oil – protects hair against sun and high temperatures like no other. Thanks to it you will no longer fear hot air from blow dryer, straightener or curler. On top of that, argan oil is rich in vitamin E, that is called the vitamin of youth and brilliant antioxidant. 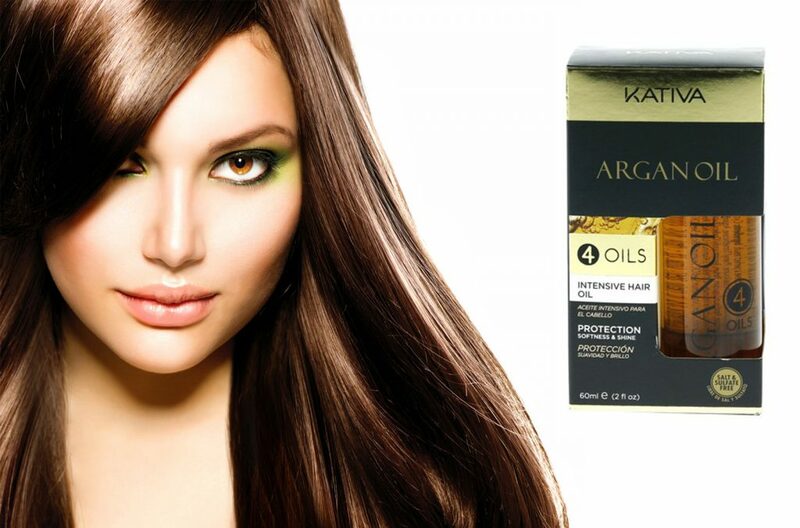 Argan oil also perfectly provides hair with gloss. Sesame oil is yet another oil with high concentration of vitamin E. Thanks to it hair will no longer fall out, start to be easier in stylisation and hair ends will be nourished and strong. Sesame oil helps restore damaged hair – strengthen hair structure on the entire length. What is more, oil is full of minerals: magnesium, phosphorus, calcium. Their deficit in hair can result with accelerated hair damage, hair loss, lack of elasticity or even grey hair. Linseed oil – perfectly regenerates hair, takes care of damaged hair ends and prevents split ends. Liquid keratin – often used in products for hair care. In great way deals with hair repair, provides volume, strength and elasticity. Oils and keratin are well balanced what deserves an applause. However, it is entirely different with a paraffin – a derivative of crude oil. It is because it holds clogging properties: frequent use causes clogging effect and makes it impossible for the favourable substances to penetrate hair structure. This unpleasant ingredient is fortunately balanced by the fact that oil is free of harmful salts and sulphates. The oil is equipped in pump, so application is proceeding by pouring a dosage on a hand. It is a bit problematic – oil is greasy and it is more than easy to mess clothes with it, when by any chance we take too much of it. Paraffin is a cause for oil’s quite heavy and greasy formula, that can weight hair down and lead to oily scalp. It is best to use it as a hair conditioner before hair wash.
Argan oil vs. hair porosity Copyright © 2019.